Please click on name to email administrator. 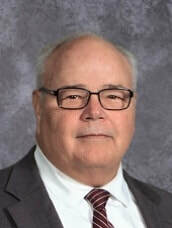 Mr. Stein earned a bachelors degree in secondary education, Bible, and physical education as well as a masters degree in school administration from Maranatha Baptist University. He has been at HHCS for 3 years. In his spare time he enjoys spending time with his grandchildren and boating. 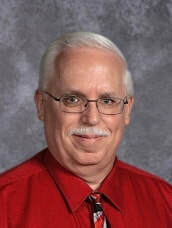 Mr. Stein and his wife, Janet, have 2 children and 4 grandchildren. 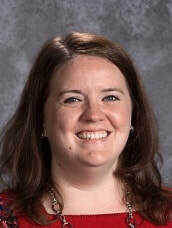 Miss Sigo earned an associate’s degree in arts from Ball State University. 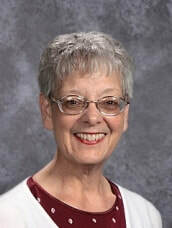 She has been at HHCS for 45 years. In her spare time she enjoys reading and walking. Something the Lord is teaching her is that she can trust God to do what is best for her even when it's not what she wants. Mrs. O'Rourke earned her bachelor's degree in elementary education and Bible from Georgia Baptist College. She is in her second year at HHCS. Her favorite verse is 2 Timothy 1:7. In her spare time she likes reading, shopping and spending time with her family. The Lord has taught Mrs. O'Rourke through moving and switching jobs to rely on God and that His plans are not always our plans. Her favorite quote is "When the Lord closes a door, somewhere He opens a window." Mrs. O'Rourke husband's name is Brendan. Mrs. Bond attended Bob Jones University for one year. She has been at HHCS for 16 years. In her spare time she enjoys spending time with her family and reading. Her favorite verses are Colossians 1:10–11. Something the Lord is teaching her is that God is enough for every situation. Mrs. Bond is married to Rory, senior pastor at Grace Baptist Church. They have five children. 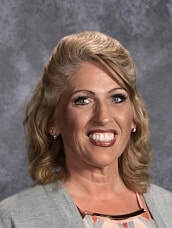 Mrs. Beeson earned a bachelor's degree in pre-medicine from Bob Jones University and a master's degree in physiology from Ball State University. 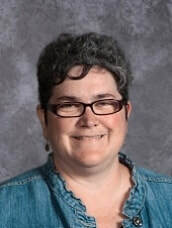 She has taught at HHCS for 14 years (non-consecutive) and is a graduate of HHCS. Her favorite verse is Colossians 1:18. The Lord has taught her that if anything good comes from her teaching and administrative work, it is the Lord who did it! Fun Fact: Mrs. Beeson met the Queen Mother (Queen Elizabeth) when she was a teenager. Mr. Wallace earned a bachelor of art degree in Bible from Bob Jones University and a master of theology from Southern Indiana Baptist College. He is in his second year at HHCS. His favorite verse is Isaiah 40:31. In his spare time he likes to read and visit historical sites. The Lord is teaching him that God' timing is perfect. His favorite quote is “Do right though the stars fall.” ~Dr. Bob Jones Sr.
Mr. Wallace and his wife, Peggy, have four children. Fun Fact: When Mr. Wallace was in 3rd grade, he wanted to attend Ball State University!